This collar looks the bees knees. 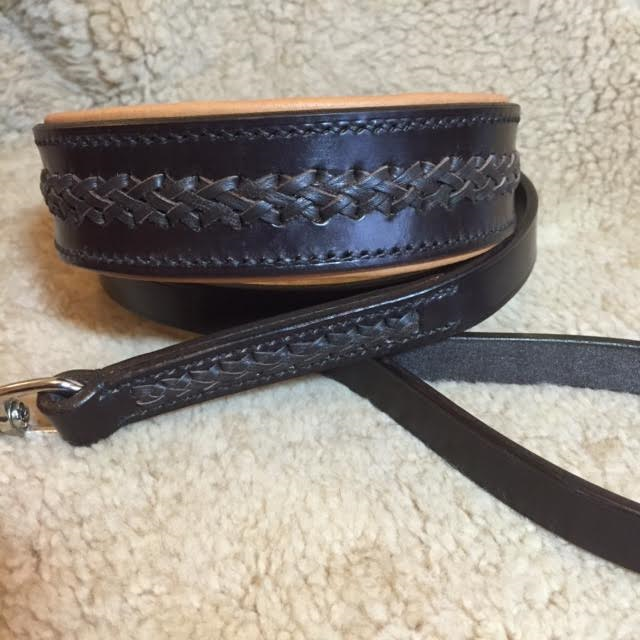 This decorated leather collar is 32mm wide and tapers down to take a smaller buckle and Dee ring. 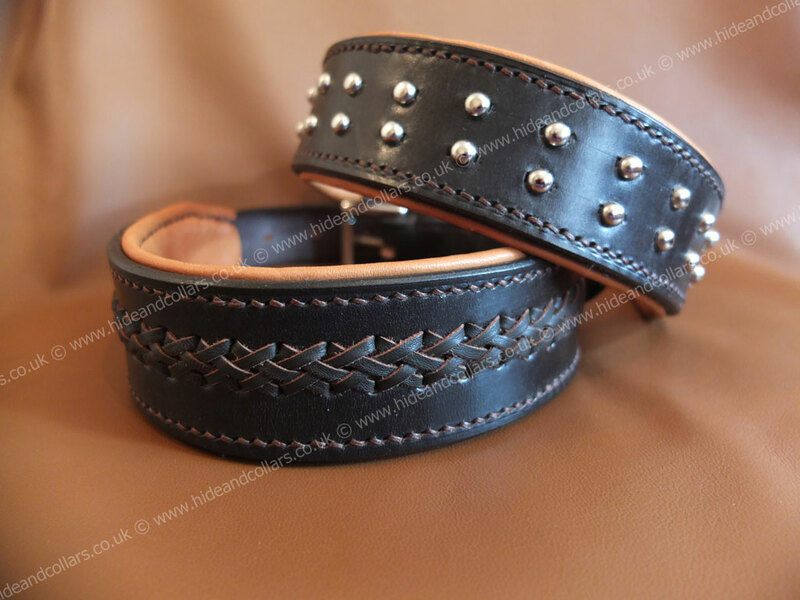 The laced collar comes in a variety of colours and is padded and and lined with soft leather. 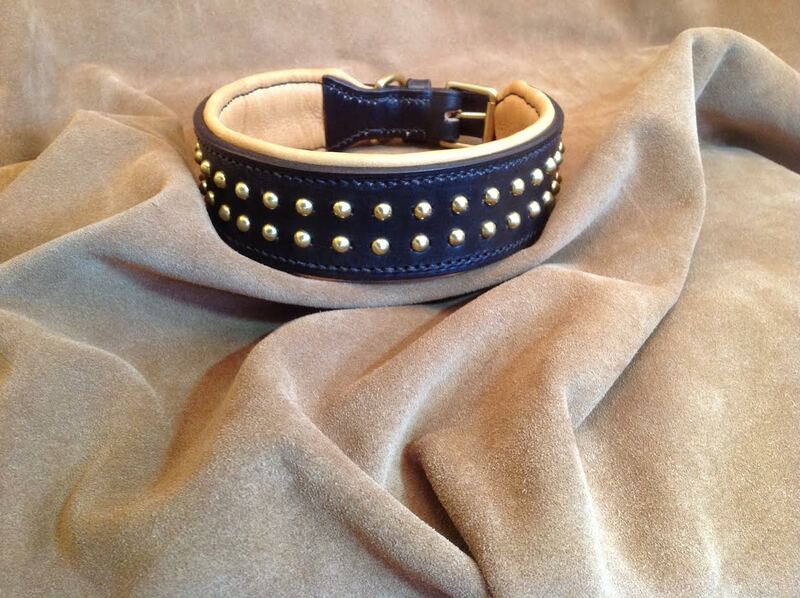 For the studded collar you can choose brass or chrome fittings, this too is padded and lined with soft leather. 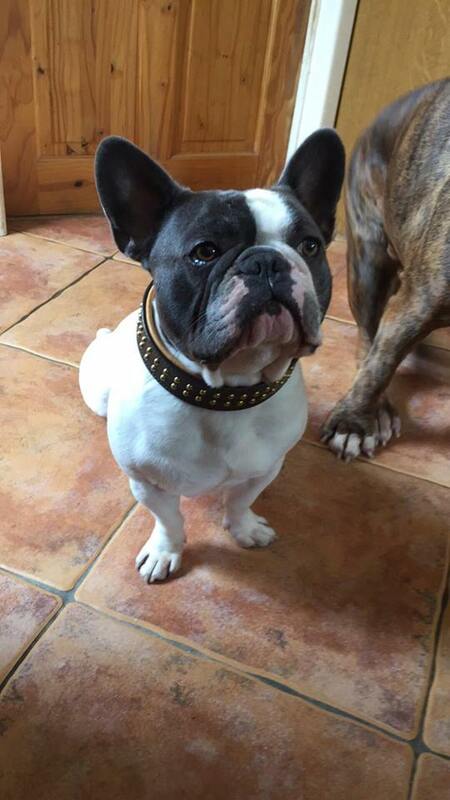 Handmade in the very best English bridle leather giving you the quality and durability needed for your dog. When choosing a colour the first colour will be for the collar the second will be for the lining and or lace. Email me if you would like a different colour combination. A lead to match can be found here.